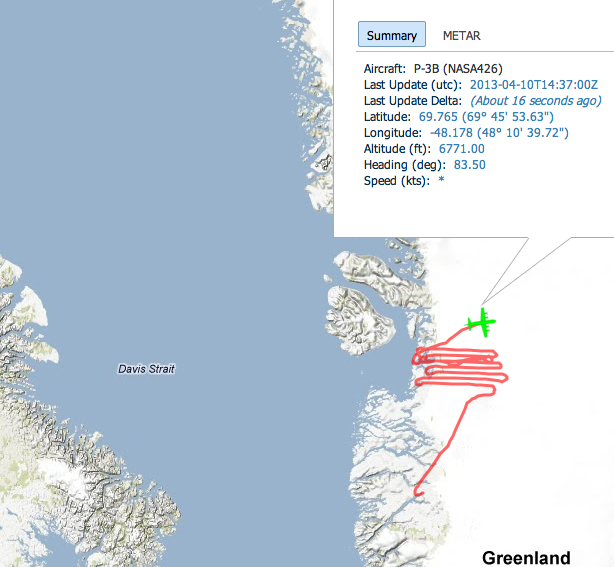 Locations of NASA’s P3 air plane near Jacobshavn Isbrae on April-10, 2013. 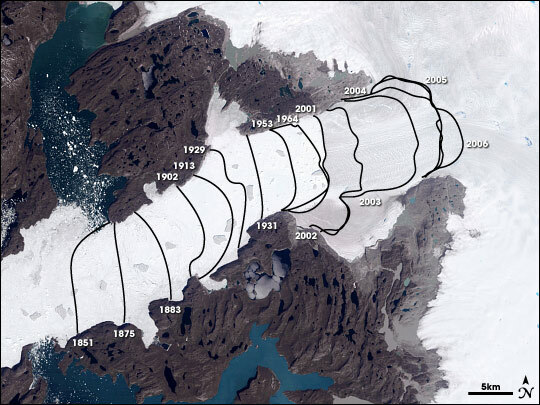 This entry was posted in Greenland and tagged climate, glaciers, Greenland, ice, NASA, radar. Bookmark the permalink. 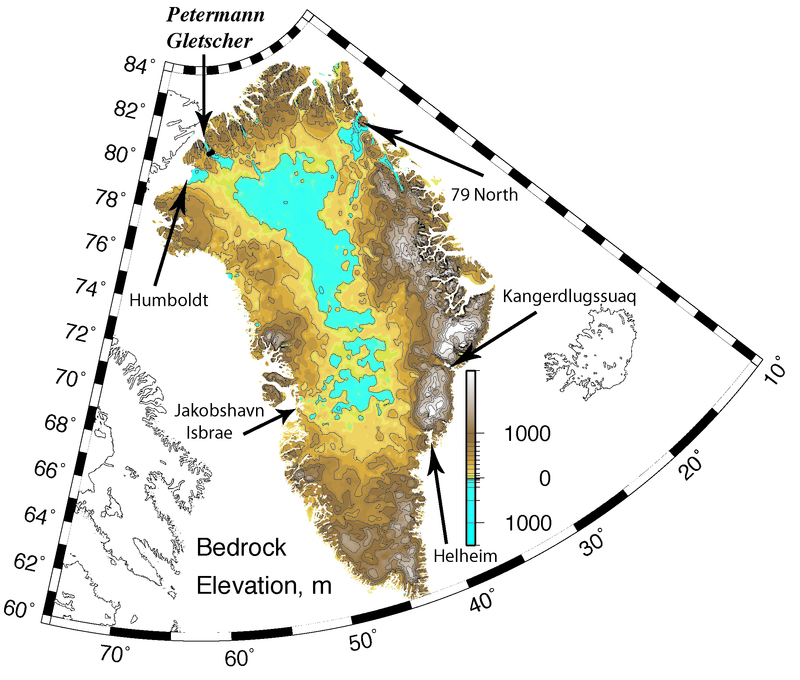 There are some beautiful out the window photos of Petermann’s front on the Petermann Glacier/North West Greenland thread at Neven’s Forum. While I know seeing someone elses photos doesn’t compare to having seen it for yourself, I thought you might be interested. Hunter has just published new photos of PII2012-A-1 on the Operation IceBridge Thread at Neven’s Forum. I hope you’ll be able to return to the area in the near future, your descriptions have always been riveting.